A brand new, as in 10km R34 GT-R Vspec II Nur sold at BH Auction in Japan for 32,000,000 yen(~$288,000). That is not 10k km, but 6.2 mile car. BNR 34 type which is the final evolution model of the second generation GT - R was first demonstrated at the Tokyo Auto Salon in January 1999. In the full model change from the big hit BNR 32 to the predecessor BCNR 33, I was criticized for the bigger body, the weight increase, etc., BNR 34 made a slimmer. Compared to BCNR 33, the length is reduced by 75 mm and the wheel base by 55 mm. At the same time, the whole width was expanded by 5 mm, and exercise performance was improved. Although the engine is a traditional RB 26 DETT, the point is that the turbine bearing has been changed from a metal type to a ball bearing type. This is an improvement aimed at improving the response, together with boost pressure boost and ECU optimization. While the maximum output was 280 ps, ​​the maximum torque reached 40.0 kgm of the BCNR 33 ratio plus 2.5 kgm. 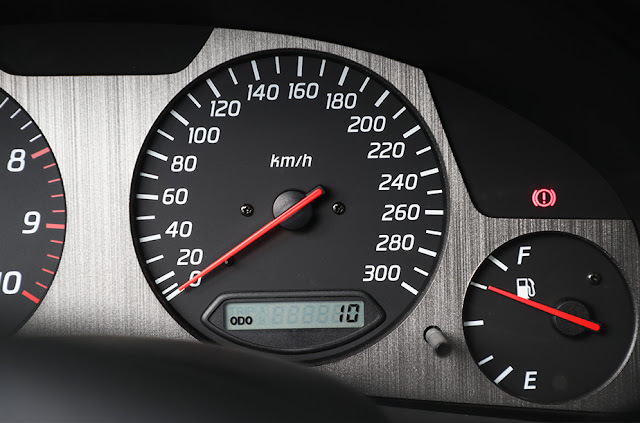 Moreover, in the power train, the transmission changed from the Nissan in-house manufactured 5-speed MT of the former model, and in BNR 34 it changed to the 6-speed manufactured by Getalg.Brembo caliper (F: 4pot R: 2pot) was equipped as a standard brake.In addition, in the V specification, the Atesa E-TS PRO including an active LSD that positively performs the differential restriction of the left and right rear wheels according to the situation is adopted. After that, in 2000 V minor change appeared in V Spec Ⅱ equipped with NACA ducted carbon hood. Contributing to reduce understeer by suppressing the weight of the front axle. 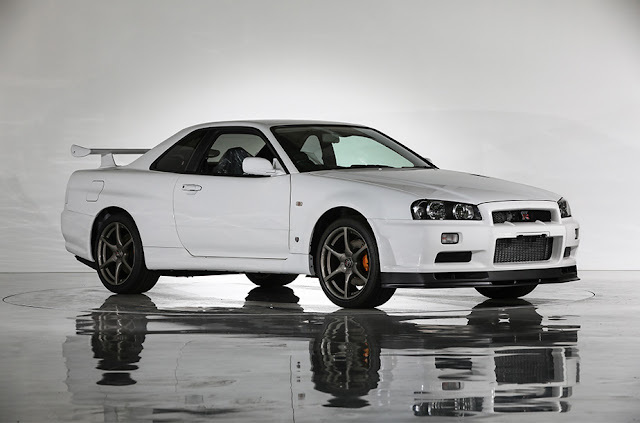 Also, in 2001 M-spec that pursued comfort as GT appeared to overturn the conventional GT-R image. Adoption of a dedicated damper realizes supple ride comfort. Such BNR 34 also becomes difficult to respond to the exhaust gas regulation, and is stopped production in 2002. As a final edition, "Nur" was sold only for VSpec II and M spec for 1000 units (originally announced at 500 units, increased production at the request later from customers). Based on the reinforced block, the engine is balanced and each unit is equipped with an N1 engine incorporating a metal blade turbine.It also boasts content that can be said to be the last-minute beauty of the second-generation GT-R, such as the adoption of a dedicated 300 km / h full-scale speedometer, making it the most valuable model as a collectible car among the BNR 34. This individual is an unregistered new car that can also be said to be a vision, the mileage displayed by the odometer is only 10 km.Among the V specs Ⅱ, the final limited model "Nur" is a priceless one, and "Nur" based on the more spartan V specifications Ⅱ is more valuable being sold for about 300 units. The engine is a N1 specification with exclusive color gold, the interior is the finest thing to keep "new car condition" enough to touch you.